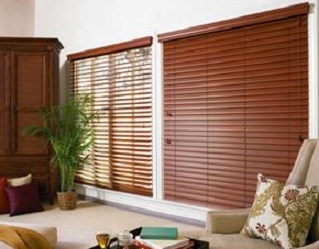 Wood Blinds - Blinds Philippines – Call Us Now at (02) 893-1373! WOOD BLINDS (PHILIPPINES) – Wood blinds that uses quality real wood slats complements any wood furnitures or floorings in any room. With its natural charm and warmth, it casually adds comfort and elegance to an area. The natural texture of the wood being used, makes wood blind a great choice for window treatment, as it effectively accentuate your space interior. Not only does wood blinds look classy from inside and outside the window, but it also provides greater durability and good insulation. Just like most blinds, there are variety of choices that is sure to fit your needs. Wood blinds slat comes in different width to adapt functionally well to a certain condition. 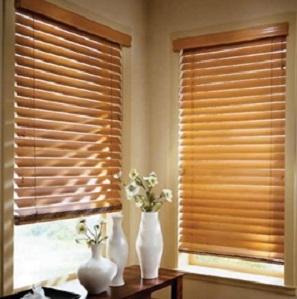 For windows that are small and shallow, wood blinds with 1″ slats would work better. The most popular wood blinds slat width are the 2″ slats, as it looks great on most windows regardless of its size or depth. 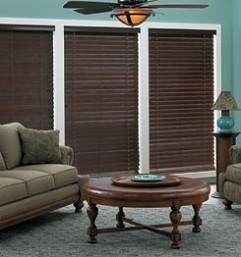 For large windows, the widest wood blinds slat would work well. With its width ranging from 2 1/2″ to 3″, it takes up less space when tilted open and compliments the view outside the window. Wood blinds durability, affordability, lightweightness and natural charm makes it an elegant yet an economical choice.